The online reputation of brands and individuals is always under threat in the age of social networks, viral news, and live video streaming. It’s crucial to have a comprehensive and well-defined social media reputation management strategy that not only helps to prevent or lessen any reputation crisis, but also takes proactive measures for building a strong social media reputation. A company’s social media reputation also has a direct impact on its sales and revenue figures. Studies show that the purchase decisions of 78% consumers are influenced by social media posts. Several other studies indicate that negative customer reviews and complaints about brands go viral much more frequently than does positive content. There are also dozens of examples of companies creating propaganda content and making it viral on social media to tarnish the reputation of their competitors. And once something goes viral on social media, it’s difficult to stop it from making an impact. Here’s a quick look at some of the activities involved in social media reputation management. Identifying the right social media platforms to target and setting up well-branded profiles is one of the most important steps in social media reputation management. Because social networks differ from each other and appeal to different audiences, it's typically not practical or that effective to build a presence on every major social network. A much better, and manageable, approach is to target a handful social networks where the audience engagement levels are likely to be higher. This enables the social reputation team to create and focus on more engaging content. Social networks, by nature, are designed for human engagement. Faceless brands, using corporate jargon, fail to engage users and build relationships. The tone of social media posts should normally be personal, conversational and engaging. The best way to build a positive reputation on social media is by posting and sharing valuable content that people can benefit from, usually by increasing their social capital. However, the performance of each content type varies on different social networks. That's why a customized content plan is required for every platform. 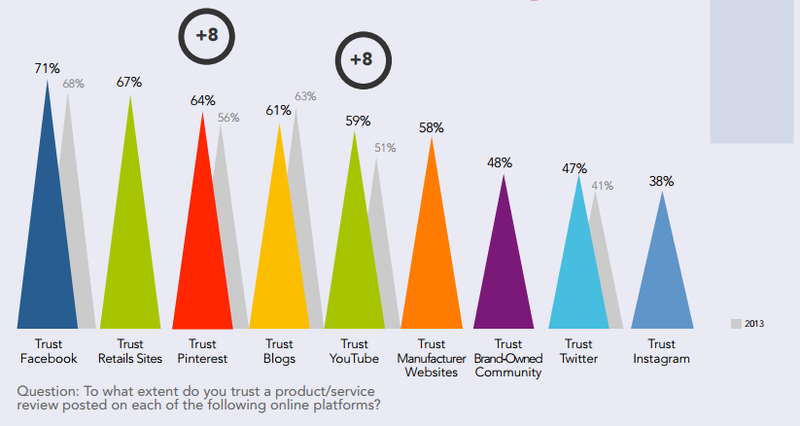 For example, a study by Social Media Link found that Facebook is the most trusted social network among consumers when it comes to product reviews. Twitter is more effective for generating viral news trends. Social media posts need to be scheduled for the peak engagement hours so that they receive maximum audience exposure. Social media coordinators first identify the peak engagement hours and then auto-schedule posts accordingly. It's critical that the social media reputation management team carefully and consistently monitor the conversations taking place on different social platforms. At any given moment, there are millions of people interacting with each other across these social networks. But identifying and highlighting related conversations requires smart automation. A simple hashtag search on Twitter shows if people are talking about a certain topic. However, doing this manually on a consistent basis is not practical. Sharing positive customer testimonials and reviews on social media is an effective way of building brand image and increasing the perceived value of a brand. Social media strategists employ a variety of methods to increase positive reviews through social media interactions. For example, customers can be incentivized with free offers, or naturally persuaded to share their thoughts after a positive experience. Amplifying positive reviews helps in building trust with consumers, encourages more customers to share their feedback and minimizes the impact of negative reviews. Responding to negative reviews by dissatisfied customers and countering competitor propaganda are two important aspects of social media reputation management. Brands need to be proactive by developing and implementing a well-defined plan for countering negative reviews before, not after, they occur. The best way to do that is by defining standard operating procedures (SOPs) for each type of negative review and define multiple plans of action. In certain cases, brands also need to take negative social media conversations offline and try to engage the user through a different channel. Costs for social media reputation management start at $3,000 per month and up.